First off, you may have noticed I’ve been really terrible lately about updating the ‘ol blog lately, but don’t worry, it’s just been tricky schedule stuff. I should be back on a more regular posting pace by the end of the year. Secondly, my wife and I celebrated our wedding anniversary yesterday, which would normally have noting to do with astronomy, but she gave me a very special book. 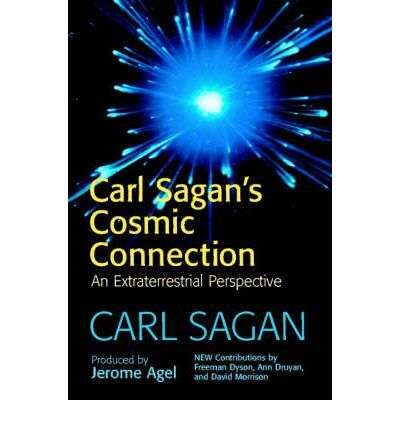 I was presented with a first edition copy of Carl Sagan’s Cosmic Connection: An Extraterrestrial Perspective, which is I think the ONLY book of his I didn’t have. It’s definitely the next thing I’ll read. This book is so uncommonly seen that I couldn’t even find an image of the cover online, only the reprint, which is a bit different. It’s a huge understatement to say I’m looking forward to this. Have no fear that I’ll be generous when it comes time to share my opinions about it.